Immerse yourself in the challenging field of drug discovery and development. Study the development of new drugs, the discovery of diagnostic markers of disease and the assurance of safety, quality and efficacy of manufactured drugs. The course puts you at the forefront of recent trends in pharmaceutical research, in which increasing numbers of drugs are coming from large biopharmaceutical molecules. On graduation, you can look forward to a wide range of career opportunities in a large and growing industry. Over a quarter of all industrial research in the UK is performed by pharmaceutical companies. Teaching methods include laboratory practical work, tutorials, lectures, seminars, group work and e-learning. We encourage you to develop independent study skills. Assessments help provide feedback and consolidation as well as counting towards your degree. Assessment methods include laboratory reports, presentations, research essays and examinations. This course shares a common first year with BSc (Hons) Biopharmaceutical Science and BSc (Hons) Medicinal Chemistry, which allows you to easily change course at the end of the first year should one of these routes appeal to you. Our new analytical suite contains equipment which is industry-standard for modern clinical and pharmaceutical laboratories. Our state-of-the-art spectroscopic facility allows us to investigate the structures of new molecules and potential medicinal substances. We are equipped with Liquid Chromatography-Nuclear Magnetic Resonance and Mass Spectroscopy (LCNMR/MS) platforms; this is an exceptional facility for a university. We also have low and high resolution mass spectrometry, nuclear magnetic resonance and elemental analysis equipment. Our facilities allow you to gain hands-on experience of a wide range of analytical techniques such as atomic absorption spectroscopy and infra-red spectroscopy, which are of great importance in determining both ionic/metal content of pharmaceuticals and simple chemical structures. You will also gain experience of revolutionary protein and DNA separation techniques, as well as Ultra High Performance Liquid Chromatography and Gas Chromatography for separating unknown chemical mixtures. Our highly technical apparatus will help you gain a better understanding of the effects of drugs on specific receptors located throughout the human body and related physiological effects. In addition to equipment for standard pharmacopoeial tests, such as dissolution testing, friability and disintegration, we also have highly sophisticated test methods. These include rheometry, thermal analysis (differential scanning calorimetry and hot stage microscopy), tests for powder flow, laser diffraction, photon correlation spectroscopy, image analysis and laser confocal microscopy. We also have equipment for wet granulation, spray drying, capsule filling, tablet making, mixing inhalation, film coating and freeze drying. This course is based in the Sciences Complex at our City Campus, which boasts excellent laboratories and cutting-edge equipment thanks to multi-million pound investments. Biopharmaceutical Science graduates have excellent employment rates as industrially-relevant practical skills are at the heart of the course. Examples of companies that have employed our graduates include pharmaceutical multinationals and NHS laboratories. The employability of Sunderland graduates reflects our mix of academic rigour and practical skills. To enhance this mix, we encourage you to apply to undertake a 48-week placement between your second and final year. It effectively becomes a third year of a four-year course. They are an excellent opportunity to put your learning into practice and understand the context for your new knowledge. The contacts made during placements can also be valuable for future job offers. We have well-established links with a number of pharmaceutical multinationals and NHS Trusts. Through these links, we organise a course of guest speakers who discuss the cutting edge of pharmaceutical research and development. The course helps you relate academic theory to current trends and issues. It’s all part of broadening your learning so that you’re prepared not just for exams but for life. The content gives a good grasp of what goes on in the real world, with a great practical aspect. 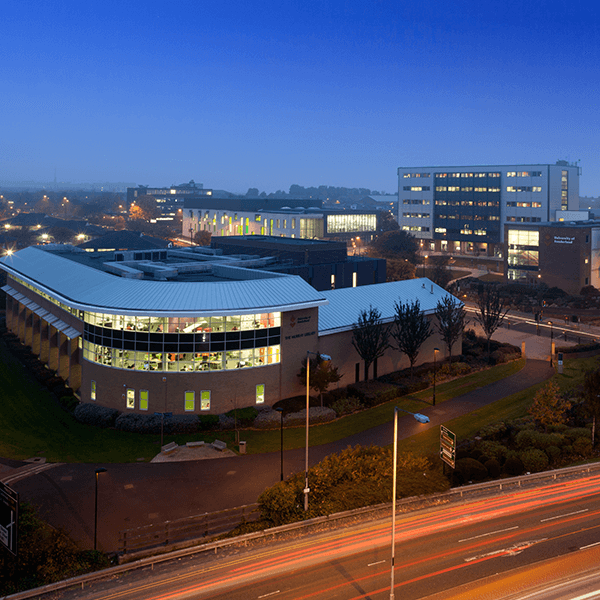 The very high standard of the laboratories and equipment was a real factor in choosing Sunderland.